BOULDER, Colo. — In a stately neighborhood of Boulder, an elk named "Big Boy" had become a treasured fixture. When Mapleton residents learned a police officer killed the animal last year as it grazed beneath a tree, they wrote songs, held vigils and hatched plans for a memorial. 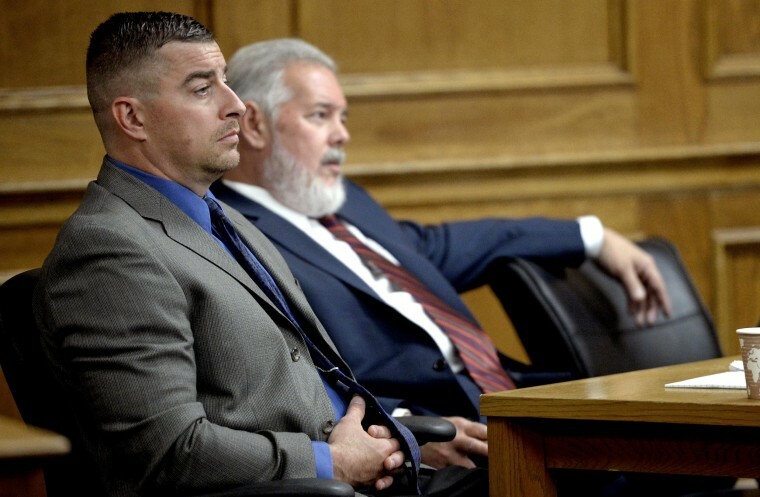 Now jurors must decide whether to convict the former officer on felony charges that could send him to prison. They must answer: Did the elk deserve to die, and was there a cover-up? Sam Carter was charged with attempting to influence a public official, forgery and tampering with evidence after he shot the elk while on duty. Prosecutors say Carter, fascinated with the elk, stalked it for days and sought to mount its head on a wall. They said he shut off the GPS in his squad car when he shot the animal, and failed to radio dispatchers his location. Prosecutors said Carter later forged a tag to pass it off as road kill. But his attorney, Marc Colin, said the elk had become aggressive, frightening dogs. The trial opened with debate over whether the elk's "bad conduct" could be used as evidence, and whether jurors familiar with Big Boy could be impartial. "Sam Carter is not guilty of anything but trying to protect citizens of Boulder," Colin said, as some in the courtroom shook their heads. Prosecutors flashed a photo of the elk looking peaceful in a yard, and another of a uniformed Carter smiling over its carcass. Prosecutors say Carter called another officer, Brent Curnow, to cart away the body in his truck, and together they butchered the animal for meat. Curnow pleaded guilty last year to tampering with evidence and other charges and is expected to testify against Carter. The trial has reopened old wounds. Witnesses who testified on behalf of the elk said seeing the animal was a highlight on hikes. "That elk never did anything," said pet supply store owner Mary Lee Withers. Withers is helping raise money for a memorial bench, which she said will have porcelain inlays bearing the elk's likeness. The case also inspired a Boulder man's tribute song, "Reason to Kill (Ballad of Big Boy)." Its lyrics include: "Gunned down for nothing, But his sovereign space, Wrong time, wrong place."